Two more of our favorite, well they are all favorite, deaf children. 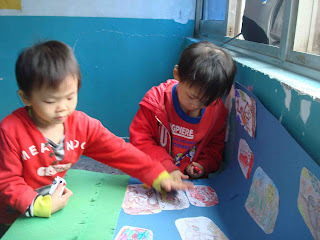 Here they are working on a Jungle Animal mural we made with them. We really look forward to Sundays and our time together.